I've been utterly consumed by work, so once again it's been a little quiet on the sewing front. It doesn't mean I haven't been making though... 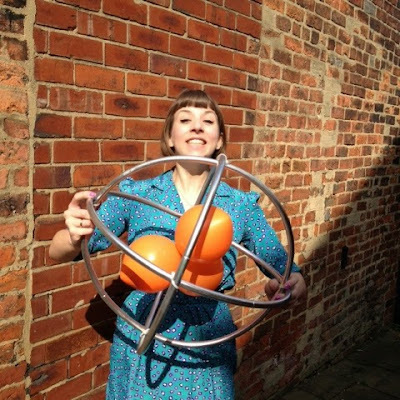 Here's a rather silly picture of me looking pretty proud that the giant atoms I made for the annual Leeds Festival of Science weren't a complete Pinterest Fail. Another HUGE sewing set back is my broken sewing machine, which I'm less than impressed about having had it for less than a year. The bobbin case seems to wiggle around and then jam when the hand wheel is turned backwards, and the thread is getting all knotted after just a few stitches, It's under warranty still, but I'm having difficulty with getting it sent back to the suppliers to be seen to. All I can say is that I would never buy something like this from a seller on Amazon again - in future I'd only buy directly from the manufacturers themselves (i.e. Janome) or a reputable, nearby shop. It's times like this that I realise how much I'm relying on technology/a nifty piece of engineering to do the work for me, and how completely in the dark I feel when it goes wrong. It would be nice to know a bit more about the technical side of these things, and saving myself some of the annoyance/panic/frustration I feel when things aren't working quite right. ...Lots of fabric, fuss and florals going on in this dress. 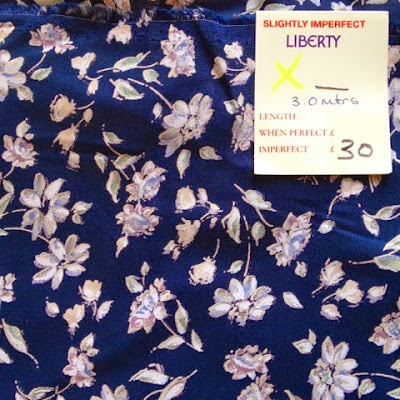 The particular floral I used was a steal from the wonderful Ray-Stitch sales a while back; a 'slightly imperfect' Liberty (perfect is boring anyway). I think it's a viscose/poly and has a decent drape. It's heavy enough to allow the skirt to hang well, whilst still having a good amount of movement. The dress as a whole comes from a chain of ones before it (as those of you who have read my blog before may have noticed!) The bodice was another excuse to perfect my self drafted pattern - mainly the lining as I didn't do it so well on the last try. I still seem to have a bit of trouble getting the lining spot on - joining it to the facing is much more difficult because of the angular neckline - but it's so much better than my last time. I've got the under-stitching down now too, so I'm really pleased with the finish on the neckline. And I still love the petal sleeves. 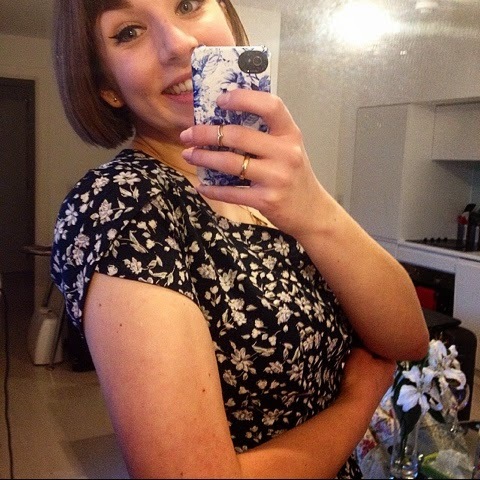 I think they might be my favourite feature of the dress. 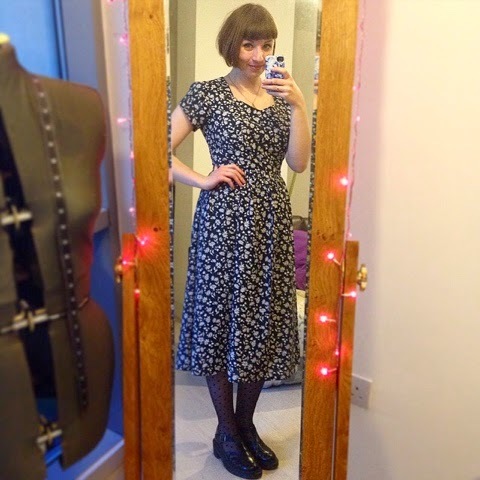 The skirt is a basic long gathered skirt, based loosely on the skirt of the Emery Dress - with added length! I'm really attracted to midi-length garments at the moment, as can be seen with the skirt I posted about last month, so I thought I'd go for something similar in dress form. 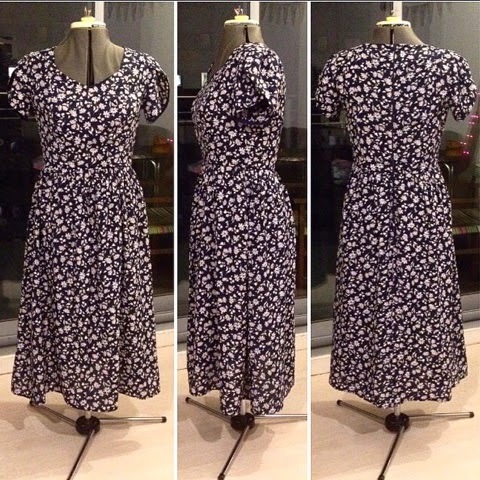 I've also been sewing with both Me Made May and a holiday to Barcelona (also in May eek!) in mind. I feel like I've at least ticked one garment off my 'to sew for May/holiday' list with this. The only thing I'm not quite happy with - and it's entirely my fault - is that I sewed in a standard zipper rather than a concealed one. I remember asking for concealed in the shop, but before I noticed, I was sewing it in and it was a just a standard zipper. This means that you can see it a bit on the back, but at least it's neat, and it's behind me so I'll never see it anyway, ha. I think I'll get a lot of wear out of this one, especially in summer. The self drafted bodice is become quite the 'go-to' thing to make, primarily because I know it fits me perfectly without any adjustments. No muslin making = good in my books! I think I'll be look for ways to alter the neckline and skirt to try and change it up a bit so it doesn't look like it's becoming my uniform! Coming up... 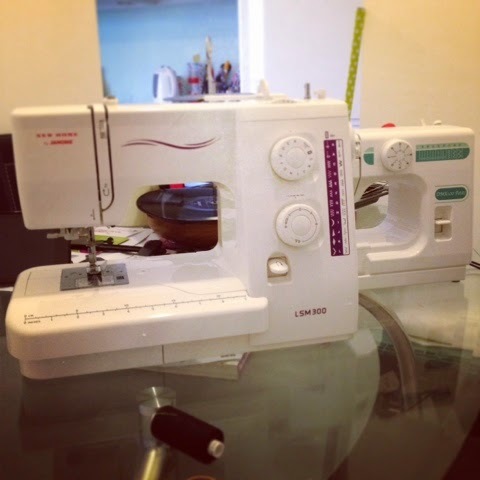 I have some time off to dedicate to sewing, plus some very special social sewing plans in the pipeline - hopefully including wine! - that might be of interest to anyone who lives in Leeds/West Yorkshire.